Series Volume 7: Why Build an Effective Board For Your Company? Remember, It's Always About The People!!! Executive Search companies specializing in Board positions are always an option. Increase the success rate of these types of searches by sharing your plan (Values/Vision/Mission, Sphere of Influence, Planes of Congruence) with the search company so they have multiple dimensions of what successful candidates look like for your organization. 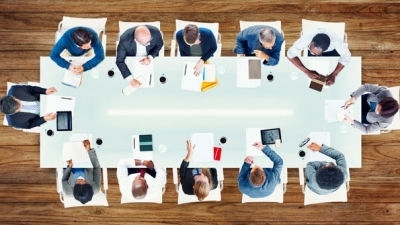 Associations such as the National Association of Corporate Directors (NACD) and the American College of Corporate Directors (ACCD) have great outlets for identifying viable Board members both in formal ways (through the organization) or informal ways (by attending events and forums for networking). Even LinkedIn has made Board member searches quite simple allowing you to laser-focus on your ideal candidates. See a helpful article by LinkedIn to assist you in maximizing your search criteria. Their search functionality has really improved - pay special attention to the Boolean search criteria. Also, for an example of a 'highly searchable' LinkedIn Board member profile with multiple search criteria embedded, see mine here - this was created with enhancements compliments of Mike Lorelli. BaaS - In cases where your available time to build a proper Board is scarce, the option of a fully-built and for-hire Board of Advisors can be the answer (see Board as a Service - BaaS). Be ready to be off and running immediately if you choose this option as the team is already formed and ready to get started day one! Keep in mind that building and governing a Board will require time and work no matter what option, or combination of options, you choose. However, this will be time well spent. Continue to read our ongoing series on the important focus areas you need to be thinking about in order to build or evaluate an effective Board for your company.